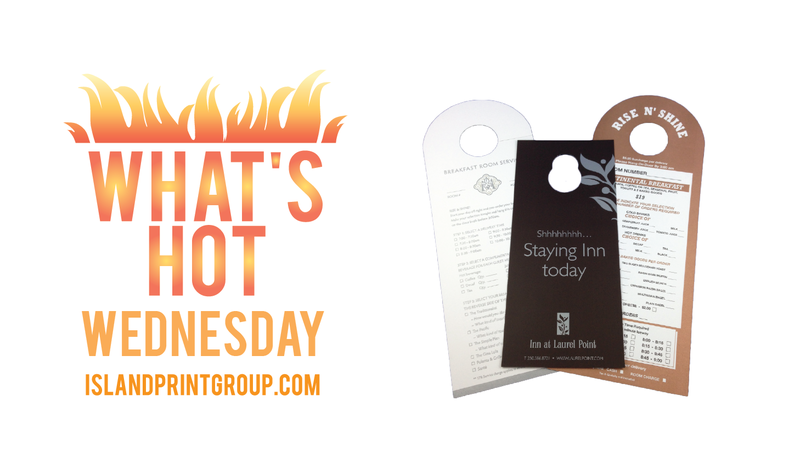 Since we started What’s Hot Wednesday, I’ve only featured promotional products. You may or may not know this (Our name made have given it away) but we PRINT stuff too! Someone asked me why I hadn’t featured any print items, and I had to come clean. Print is HARD, you guys. Promotional Products have a limited scope.When I feature a Stylus Pen, there are only certain colours it comes in, you can’t change the way it opens, or its shape or ANYTHING about it, really. It is a stock item that you would just imprint your logo on to. Print on the other hand, well – you can make it out of just about whatever stock you want. It can be any colour. You can put foil lettering. You could make it any shape. You can laminate it. You can imprint anything you want on it! ETC!!!! Yup, when it comes to print – the options are pretty crazy. So let’s just keep that in mind when I write a blog post about print, ok? It’s daunting! Now, as I’ve previously explained – your options for how they look and feel run close to limitless. Whatever you can dream up, let us help you make it a reality! There are quite a few uses for door hangers. As pictured, there is the “Do not disturb” type of door hanger. A lot of hotels will print one side Do Not Disturb and the other Please Clean My Room. 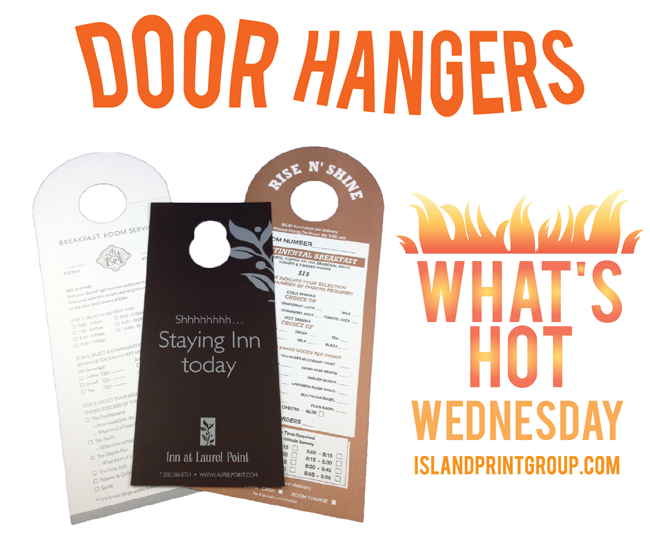 You can see that a couple of hotels use door hangers as menus! We’ve also printed some advertisement types of door hangers for local businesses to hang door to door. You can even put a coupon at the bottom for your potential customer to use! Can you think of other ways to utilize door hangers?